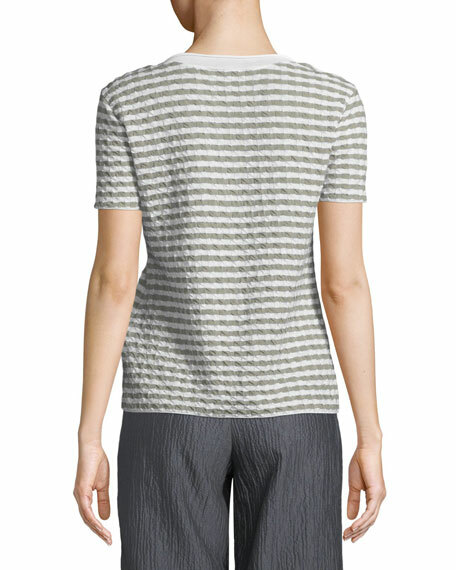 Emporio Armani striped jersey top. 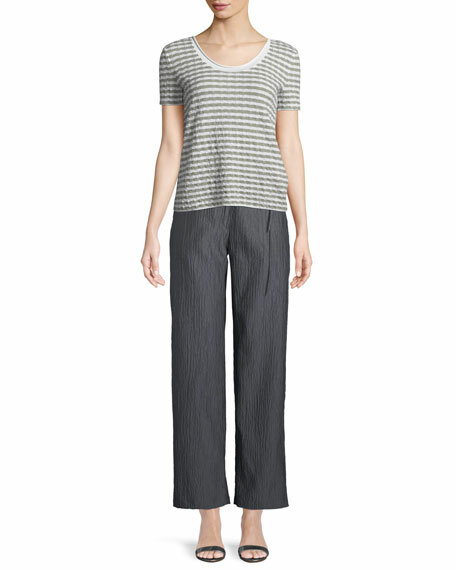 Emporio Armani top in herringbone-striped viscose. Crew neckline. Long balloon sleeves. Billowy fit. Banded hem. Viscose/nylon. Made in Italy. Model's measurements: Height 5'10"/177cm, bust 33"/84cm, waist 25.6"/65.2cm, hips 35.8"/91cm, dress size US 2-4/FR 34-36. 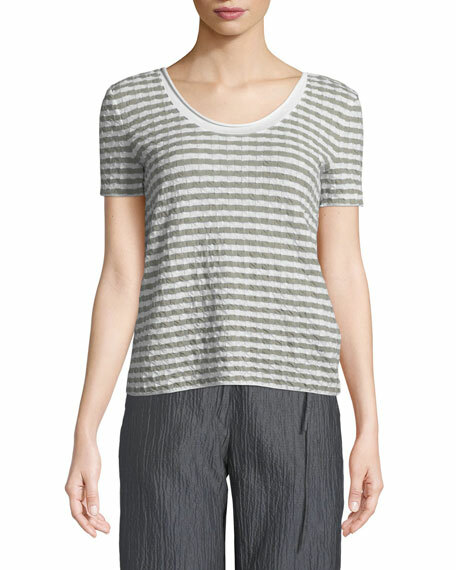 Emporio Armani jersey-knit top. V neckline. Three-quarter sleeves. Slim fit. Pullover style. Viscose/spandex. Imported. Model's measurements: Height 5'11"/180cm, bust 32"/81cm, waist 24"/61cm, hips 35"/89cm, dress size US 2.